From the awe-inspiring to the cutting edge, the interactive to the totally immersive, the museums of Houston’s Museum District are more than the exhibits they house. They are centers of learning that inspire each and every visitor and uplift the community in countless ways. There may be no better way to explore the city, its history and culture than with The Houston Museum Pass. 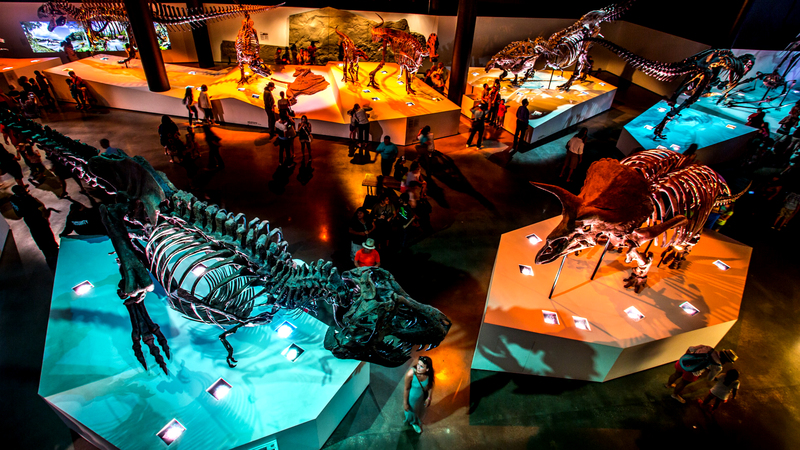 The 3-Day Houston Museum Pass is valid for 72 hours after first use. The Houston Museum Pass is activated upon first use at any participating museum. After first use, the 3-Day Houston Museum Pass will expire in 72 hours. You will receive a text message and email immediately upon purchase. The Houston Museum Pass can be used directly from your smartphone or using the print-at-home voucher in the email. From the awe-inspiring to the cutting edge, the interactive to the totally immersive, the museums of Houston’s Museum District are more than the exhibits they house. They are centers of learning that inspire each and every visitor and uplift the community in countless ways. There may be no better way to explore the city, its history and culture, and discover what’s in store for the future than with The Houston Museum Pass. Perfect for one, ideal for all. Bring the family and get lost in your curiosity. Houston BCycle is a bike share program with 60 self-service stations and 425 bikes available for rent across Houston. Founded in 1981 as a member-run organization dedicated to the promotion of photography, HCP has continued to fulfill this original mission while expanding to serve the community’s growing interest in photographic resources and education. Our exhibition gallery and library are always free and open to the public. Each year, HCP presents 12 on-site exhibitions featuring thought-provoking work by leading photographers and media artists. HCP also offers over 300 photography classes and workshops year-round for individuals of all ages and skill levels. The Heritage Society Museum is located at 1100 Bagby Street in Sam Houston Park. Founded in 1954, The Heritage Society is a 501(c)3 non-profit organization whose mission is to tell the stories of the diverse history of Houston and Texas through collections, exhibits, educational programs, film, video, and other content. The museum is open Tuesday through Saturday from 10 a.m. to 4 p.m. and the historic structures are open for tours Thursday through Saturday. There is an admission charge for the Museum Gallery and the historic structure tours with special rates for seniors, students and children.